The Posies get the old band back together to celebrate 30 years of performing. Doing anything for 30 years deserves celebration. Whether it's a wedding anniversary, your 30th birthday or performing as a band for 30 years, persistence should be celebrated. Ken Stringfellow and Jon Auer, friends from high school in Bellingham, Wash., formed the alt-rock band The Posies 30 years ago, recording "Failure" at home and self releasing the cassette tape. That earned them a record deal with Geffen Records. Soon, The Posies would become labelmates with the likes of Sonic Youth and Nirvana. Along with the band's 30-year anniversary, they're also running a PledgeMusic campaign to crowdfund the licensing of three of their first albums from Universal. "There are some aspects to these records that, I think sonically and for the context of them, they deserve a little bit of a nicer frame than just being on Spotify—which is what Universal would do for them at this point," Stringfellow says. "Spotify is fine, but these albums deserve a good audiophile presentation, and we would love them to have the opportunity." 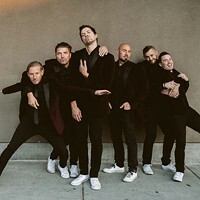 Fans can contribute to the project, and in turn, they receive merchandise, memorabilia and one-of-a-kind experiences with the band, depending on the amount of the donation. Fans have the chance to get vinyl album box sets, t-shirts, vintage merchandise and even clothes Stringfellow and Auer wore on stage. "The crowdfunding aspect is better than nothing, which is the alternative at this point," Stringfellow says. "You can monitor it and watch it come in. It's the opposite of a major label where you get statements you can hardly read. It's under your control to a degree. You can't control if people will be interested, but your efforts have a direct effect." Still, the bandmates understand the challenges that come in an age in which everything is being communicated constantly. 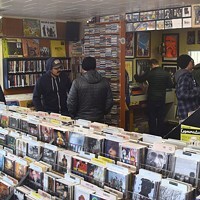 "I feel like we're in this period right now where CDs exist, but people get upset when there's only a digital release," Stringfellow says. 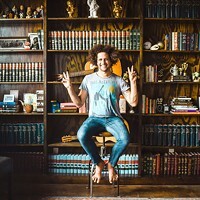 "We hear that we live in this digital era, but I still explain to people what Spotify is. It's everywhere, but it's not to everywhere, yet. We're not into the new era, or in the old era, but in this transitional time. Not everybody is aware of the things that PledgeMusic offers across all the ages of our listenership." For this tour, Stringfellow and Auer brought back original members of The Posies, including drummer Mike Musburger and bassist Dave Fox. Onstage, fans can expect to hear quite a few songs from the former members' era of the band. 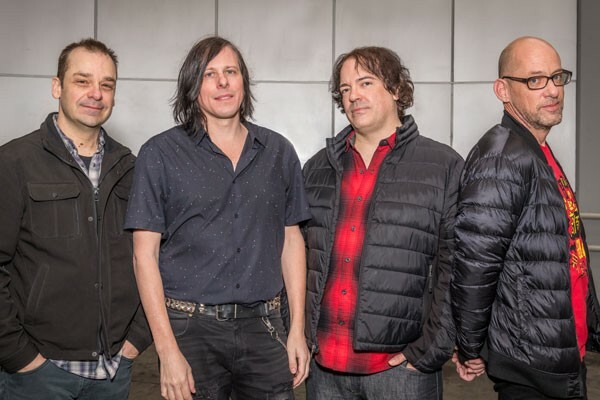 With a 30-year catalogue of music, The Posies also have options when it comes to a setlist. Don't expect a full Posies reunion, however. Stringfellow doesn't foresee recording new material with this lineup. "At the moment, were we to make another record, we would probably pick up where we left off in 2017 with the lineup that made the last record," Stringfellow says. "We really found something with that lineup that's kind of been put on hold. When this anniversary came up it seemed like an important thing to do."